Magic is definitely in the air with the release of this wondrous new title from Microgaming casinos. 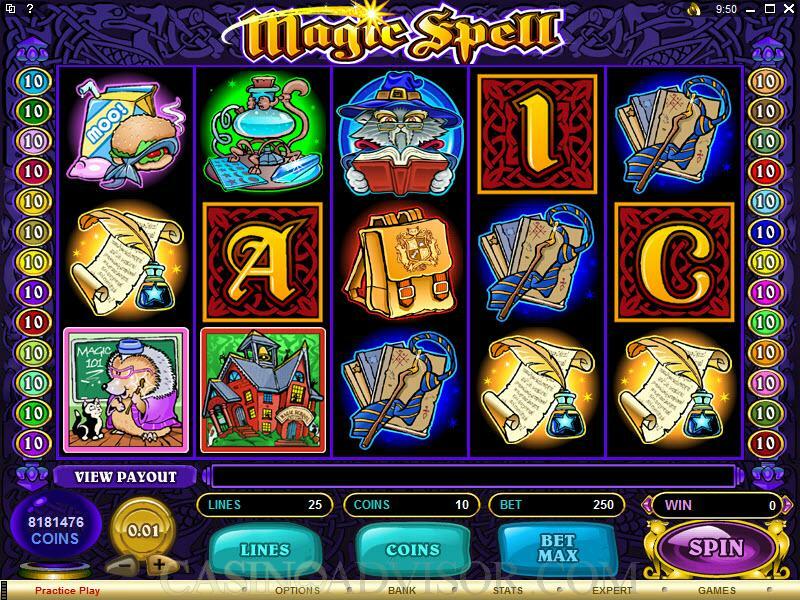 The game is appropriately called Magic Spell, and there is no doubt that it will pull in hordes of new fans of the video slots scene. 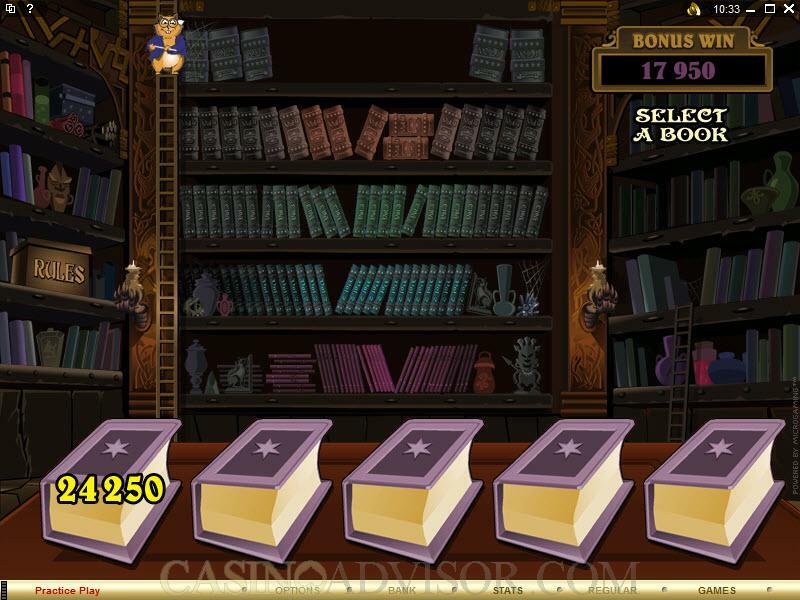 Magic Spell is a spellbinding 5 reel and 25 payline slots game that is loosely based on the popular Harry Potter series of books and movies. 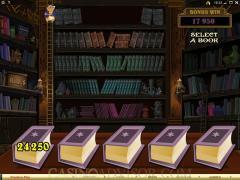 The game features a similar Magic Academy, with the main difference being that the school is populated with a host of charming and sometimes spooky animals in place of people. Magic Spell provides bonus games that come in two parts, both of which give players the chance to win some truly miraculous prizes. As you can expect, Magic Spell comes with a host of symbols that adequately reflect the game's unique Halloween theme. Hairy werewolves, creepy witches, staggering Frankenstein monsters, and rickety skeletons they're all here, and all are eager to give you a bone chilling good time. Being based on Halloween as well, Magic Spell also offers a selection of sweets symbols that wouldn't be out of place the next time you go trick or treating. Video slots aficionados with a sweet tooth will surely appreciate the game's numerous sugary treats which includes chocolates, candies, licorice sticks, jellies, gum, and so much more. Of course, any game that has even just a passing mention of Halloween wouldn't be complete without that much beloved of all Halloween symbols: the pumpkin. The familiar jack-o-lantern makes an appearance here, and you will certainly be glad when it does! The appearance of three or more of these Pumpkins symbols will trigger Magic Spell's fabulous 'Pick a Pumpkin Bonus Game'. Here you will be presented with a line up of no less than thirteen pumpkins, each of which conceals a random value behind it. You will definitely want to uncover these hidden values as they can give you the chance to win up to 5,300 coins in prizes. To add even more fun and excitement to the game, Magic Spell also offers a host of lovable albeit sometimes spooky cartoon characters that function as the Wild and Scatter symbols in the game. Spooky or not, these symbols can get you some truly spine chilling opportunities to multiply your prizes, so you will want to keep an eye out for them. Interested in reading more detailed information about Magic Spell? If so Click Here for more details.